To encourage the industry to apply more original thinking to considerate construction, the Scheme is changing its scoring system so that innovations are more easily recognised and rewarded. From January 2019 the highest achievable score for sites, companies and suppliers will still be 50 but this will now be made up from two distinct scores. 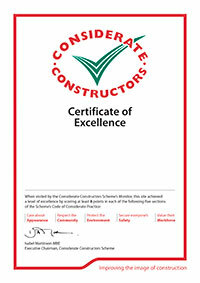 From the monitoring visit assessing performance against the Scheme’s Code of Considerate Practice, the highest score achievable will be 45 – a maximum of 9 points per category – meaning the site, company or supplier is performing to exceptional standards across the five sections. An additional 5 points are then available, at the discretion of the Scheme, to reward those sites, companies or suppliers who have developed innovative ways of addressing Scheme expectations. The Monitor will now score each section of the Checklist out of 9 so that the maximum Monitor score available is 45. There will be no 10-point scores available. The score descriptors for 1 to 9 points remain completely unchanged. Monitors will continue to review all potential innovations presented to them and include any that they deem suitable within the Monitor Report which will be passed to the innovations team to review, however no more than five can be submitted with the report. If a site, company or supplier feels they have more than five innovations, they must select the five that they feel have the strongest chance of approval. The Monitor may assist in selecting those to be presented but the responsibility sits with the site, company or supplier being visited. Each approved innovation will now result in an additional point being added to the overall Monitor’s score. The report will still present a score out of 50 which will be used to establish the star rating and eligibility for awards. Following the final monitoring visit to a registered site, company or supplier, certificates are issued dependant on the scores across the five sections of the Monitor’s Site Report. Certificates of Compliance are awarded to those who have scored 5 or more in each of the sections, while a Certificate of Performance Beyond Compliance is awarded to those scoring 7 or more in each of the five areas. Following feedback from those who use the Scheme, we are delighted to announce that a new Certificate of Excellence will be awarded to sites, companies and suppliers who score 8 or more points in each of the five sections of the Monitor’s Site Report. 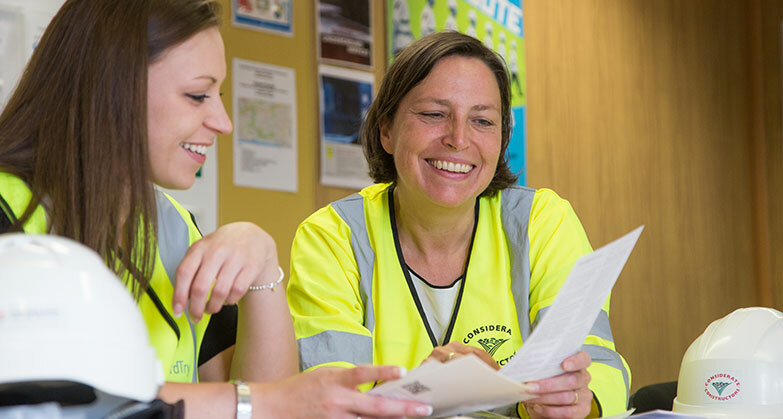 This recognises the extremely high level of performance necessary to achieve such scores and reflects those who are addressing all relevant areas of the Scheme’s Checklist to an excellent standard. The Scheme has also announced an updated Checklist for 2019. Please click here to find out more.